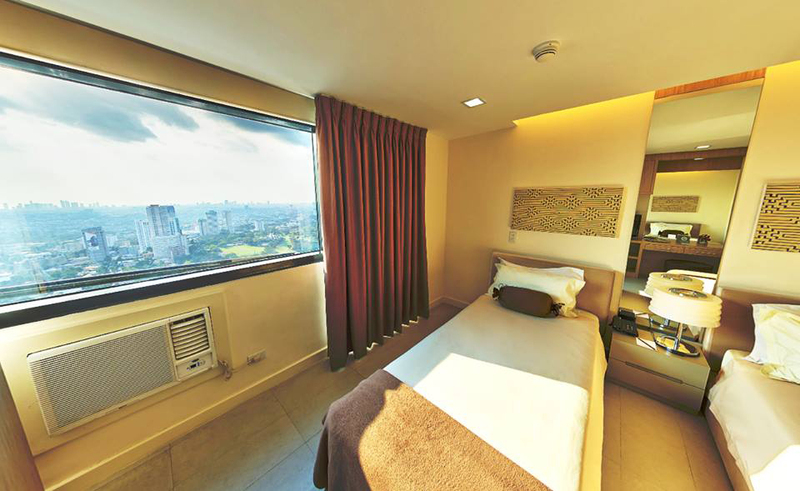 Experience cosmopolitan living at its finest when you stay at BSA Twin Towers in Mandaluyong City, Philippines. Here, we present chic accommodations designed to satisfy your discerning taste while providing the essentials you wish for in a modern home. Boasting elegant features and a welcoming ambience, you are more than encouraged to treat our spacious and well-furnished rooms as your own private sanctuaries after a long day of work or recreation in the city. Combining comfort with practicality, each guestroom is organized to create an exclusive environment suited for rest and relaxation. 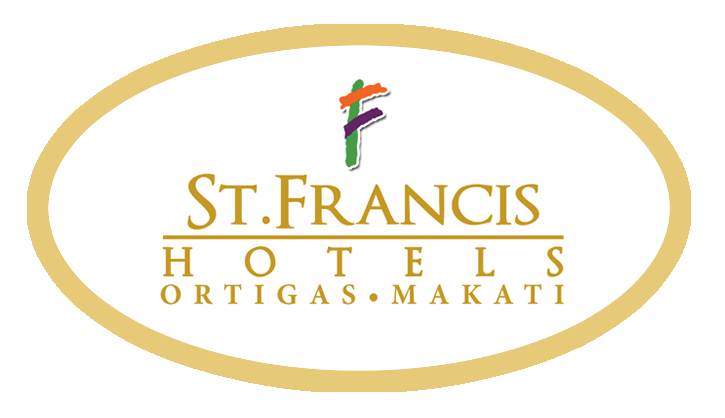 Our condo-hotel is set in a prime location within St. Francis Square, a popular shopping complex right behind SM Megamall, in Ortigas Center. By putting you close to the area’s corporate hubs and leisure spots, BSA Twin Towers, indeed, provides a stay you will not forget, whether you’re in town for business or just looking for a place to stay. Come home to a cozy dwelling that has all the features of a hotel but with the familiar feel of home. Rooms and suites are provided with air-conditioning, fully equipped kitchenette, dining area, private toilet and shower, duvet-covered beds, and flat-screen TV with cable channels. Other amenities in our Ortigas accommodation include an NDD/IDD phone, hair dryer, safe, and daily newspaper. Enjoy using facilities of the highest quality when it comes to indulging in recreational pursuits. 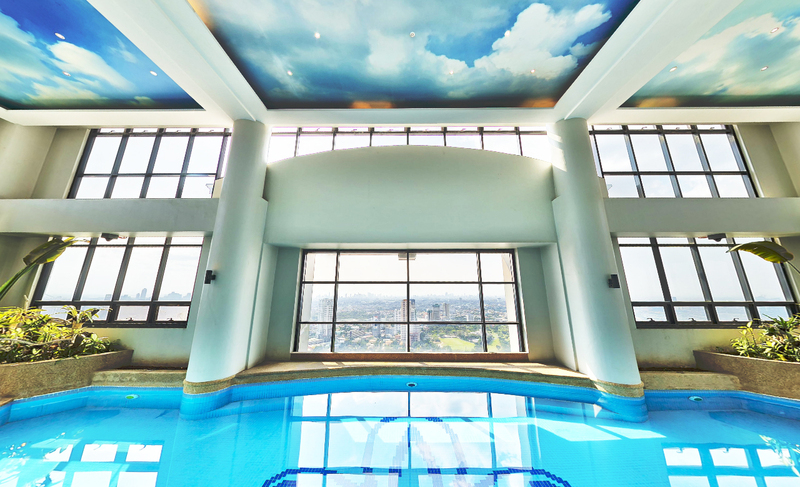 We have a lap and lagoon pools, function rooms for any social gathering, and even a playroom for your little tykes. There's also a business center, massage services, jogging area, and a gym. BSA Twin Towers Ortigas also offers Wi-Fi Internet connection in the lobby and other specific areas. Located an hour from both domestic and international airports, you will be within short distance of key destinations when you stay at this hotel in Mandaluyong City. The Podium, SM Megamall, Asian Development Bank, San Miguel Corporation, The Medical City, Robinsons Galleria, Metrowalk Complex, and Poveda Learning Center are all within minutes from BSA Twin Towers Ortigas.